Helen McMillan, temporary deputy chief constable at Cleveland Police. A senior officer at Cleveland Police has given a stark warning over ‘stretched resources’. Helen McMillan is temporary deputy chief constable at Cleveland Police and told councillors climbing demand was “outstripping available resources” at the latest Cleveland Police and Crime Panel. It came as the councillors agreed a 10.6% rise in the police precept – meaning taxpayers in Band D households will pay £24 extra to the force on April 1. She also told the panel what the extra £1.8m gathered from the increase could do for the force. Figures prepared for the meeting showed domestic abuse was up by 54% in Cleveland with 3,838 additional crimes in 2018 compared to 2017. Robbery has gone up by 35% over the same period (151 extra cases) and theft is up 6% (up 1,528). Ms McMillan said it was great people felt “more empowered and confident” to report domestic abuse – but conceded it was having a “significant impact”. The deputy chief also told councillors how the “bad year” in homicides had taken its toll, with 15 this year – two of them historic – compared with three the year before. The rising demand comes amid the loss of officers at Cleveland since 2010. The force has lost 28% of its officers – 1,724 in 2010 compared with 1,239 in January 2019. Its tally of PCSOs has fallen by 61 in the same time – a reduction of a third. Ms McMillan added: “This precept increase of £1.8m must be set against the Government grant reductions of approximately £40m over recent years. Teesside’s wide range of the societal problems were at the core of the deputy chief’s presentation. She reeled off several statistics revealing the increasing vulnerabilities and complexities in Cleveland which made policing tougher. 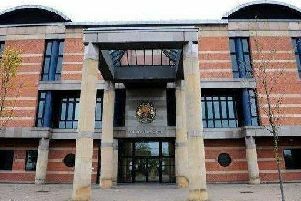 Councillors heard how there are 1,400 looked after children in the force area – with Middlesbrough and Hartlepool having the second and third highest rates in the country. Slides on the police presentation to the panel showed the £1.8m increase “would not enable us to provide the service we want to deliver to our communities”. But it added it would “begin to repair the damage of austerity”. Ms McMillan said the force was concentrating on its response to calls and investing in the control room. Solving problems to prevent officers going to the same addresses to see the same people over and over again was another aim. She said: “We also want to have the right people in the right place in the right time. “Sometimes that’s difficult when we get a 400% rise in homicides but this £1.8m would allow us to make sure we have our resources properly aligned.